On Wednesday night, Jacob deGrom pitched seven dominant shutout innings, striking out 14 Marlins, en route to a Mets victory. When it was time for Mets manager Mickey Callaway to reach into the bullpen in the Bottom of the 8th Inning, New York held a 6-0 lead. The first reliever on whom Callaway called was journeyman southpaw Luis Avilan. As soon as Avilan entered, I thought, “The Mets are winning 6-0, and their ace pitcher dominated tonight. As usual, the Mets have used 3 or more relievers in all of their games so far, and Avilan is likely the Mets’ worst reliever. It would be wonderful if Avilan could pitch two innings to rest the other guys in the pen.” OK, I admit that I was not necessarily thinking in grammatically correct fashion, but you see my point. It should not be a big task for a manager to ask any MLB pitcher to throw two innings and allow five or fewer runs. At least that is what I hoped or thought. As it turns out, Avilan pitched a shutout 8th Inning before getting into trouble in the 9th. He ultimately allowed 3 earned runs in the 9th; Robert Gsellman allowed another; and closer Edwin Diaz had to finish out the game. Yes, it felt good to get the win, but it is nevertheless demoralizing to know that, even with a dominant pitching performance (and a 6-run cushion), the Mets had to use three relievers – closer included. If the Mets needed three relievers in THAT game, when the heck will they be able to get by with two or fewer? As a result of that game, I figure this is the perfect time for me to bring up what I believe to be the next frontier in “Moneyball”. (I would say that this comment alone makes it 75% likely that Brad Pitt now becomes a regular BTB reader.) Well, Brad (aka “Billy”), here is the next frontier in “Moneyball”: You need pitchers who can pitch several innings. This might seem obvious, but, year after year, starting pitchers are pitching only 5-6 innings. Year after year, we see few relievers who are comfortable pitching more than one inning. Apparently, Luis Avilan has historically been a disaster when asked to pitch more than one inning. Lesson learned. As it turns out, my “pitchers should be able to pitch more innings” idea might not be as obvious as one might think. Anyway, let us do some quick math. If we assume that the average SP goes 6 innings in a start, that leaves 3 innings for the pen. This means that, forgetting about extra innings and Bottoms of the 9th that do not happen, a team must find 486 innings of relief over the course of a season. The typical National League bullpen has 7 arms. Therefore, those 7 pitchers must each pitch roughly 70 innings in a season….but who am I kidding? Injuries and September call-ups happen, so teams will use up some of those 486 innings with some truly awful pitchers, as opposed to the standard level of “awful” we usually see with the back end of an MLB bullpen. Nevertheless, for argument’s sake, let us stick with the “70 innings” number. Does the number “70” sound like a lot of innings? It does not for a starting pitcher, but it does for a reliever. This dichotomy occurs because a pitcher’s fatigue depends not only on innings pitched but also on games pitched. Making 70 1-inning appearances with 70 times warming up in the bullpen (and likely another 15 times warming up and not getting into games) takes a much bigger toll on one’s arm than making 12 6-inning starts or 10 7-innings starts (with the same number of times warming up as pitching in games). I should note that no coach has put me on the pitcher’s mound since tee-ball, so I invite our resident pitching expert Rob Sartori to correct anything I am misrepresenting here. Assuming though that I do know what I am talking about, there is a lesson to be learned from these 1-inning pitchers and starting pitchers. Would it not make more sense to have a bullpen full of guys who can throw 2 or 3 innings at a clip? If so, a manager could manage the way in which my two high-school coaches did. We would start every game knowing our starting pitcher and the two or three guys who would pitch in relief, if necessary. Ideally, each reliever would throw two innings or maybe more. Then, if a pitcher threw several pitches in a game, he would not be available during the next game. Does this idea not make more sense than what we currently see in MLB? Additionally, some days a pitcher “has it”, and some days he does not. When a manager goes to 4, 5, or 6 relievers in a game; the probability that at least one reliever does not “have it” is great. Also, if a pitcher clearly “has it” in a game, it would seem logical to have that guy throw several innings while he has his good stuff. Yes, my idea does border on the “Moneyball” “closers are overrated” theory, in that I would not be a slave to bringing in my top reliever for any save situation. I would be willing to make exceptions only for truly dominant closers, but “truly dominant closers” is close to an oxymoron. I want to believe that Edwin Diaz falls in this category, but it is way too soon to say that. In my mind, the only “truly dominant closers” in the modern-closer era have been Mariano, Dennis Eckersley, (at times) Trevor Hoffman, younger Craig Kimbrel, K-Rod in his Angels days, and that one year of Eric Gagne. All other closers have been given the “You automatically get the 9th Inning in a save situation” honor simply because they were the best relievers on their teams; not because the so-called “closers” were actually dominant. If a manager is going to take out a reliever who pitched well in the 8th inning, one of the guys listed earlier in this paragraph had better be warming up in the pen. The key here is that I am sick of seeing relievers lose effectiveness late in the season because they have already made 70 to 80 appearances that year. In fact, this breakdown can happen much earlier than that if a manager feels the need to go to guys night after night in April (as was the case last year with Seth Lugo and Robert Gsellman and the previous year with Fernando Salas, all of the Mets). Using a pitcher in more than half of a team’s games over any stretch is a recipe for long-term disaster. I do not blame the 2018 Mets’ fall from grace (after an 11-1 start) solely on a tiring bullpen, but this factor certainly did not help matters. Therefore, MLB teams could benefit from employing pitchers, unlike Luis Avilan, who can pitch several innings and would thus appear only once every three games or so. Meanwhile, I would like now to return to the starting-pitcher part of the equation. Obviously, having Jacob deGrom is a huge benefit to any pitching staff. Jacob deGrom is one of my all-time favorite Mets to watch, and he is the best Mets pitcher whose prime I have had the privilege of enjoying. However, when people compare deGrom to Doc Gooden or Tom Seaver (or other teams’ greats, like Bob Gibson or Sandy Koufax), I cannot help but think of how many games those guys completed. Those pitchers threw many more innings over the course of a season than pitchers including deGrom do nowadays. Plus, it was not just Seaver and Gooden who were throwing many innings back in the day. The other pitchers on the 1969 and 1986 Mets staffs (Koosman, Gentry, Darling, Fernandez, and Ojeda being the main ones) all regularly pitched 7, 8, and 9 innings. Those pitchers would exit games when they started to become ineffective, not because of innings counts or pitch counts. Along that line, if modern teams could alter their philosophies so that pitchers become accustomed to throwing 130 – 140 (I would even settle for 110 – 120) pitches in minor-league starts, perhaps we could cultivate a bunch more pitchers (like those mentioned in the previous paragraph) who can throw 7 – 9 innings in MLB starts. These pitchers do not even have to dominate like deGrom. In my rotation, I would gladly take a guy who regularly throws 8 or 9 innings and pitches to an ERA of 4.50. After all, 6 innings and 3 earned runs is a quality start. Therefore, prorate that to 9 innings, and the pitcher allows 4.5 runs. No, these 4.50-ERA guys are nowhere near deGrom’s stratosphere in terms of success nor value, but there is certainly a place for the 4.5-ERA innings eater somewhere else in my starting rotation. That place definitely earns a spot in my rotation before the 6-inning 4.50-ERA guy. I would love to have any guy who keeps me from overworking my bullpen. That provides a huge advantage in the next game or two when the bullpen is rested. Plus, there is a long-term benefit of having a generally rested bullpen over the course of the season. On that note, I think I have finished my “Moneyball” point. Brad, I know you are reading this. I really hope that Jennifer and you are making things work. The two of you always go great together, and I personally would take Jennifer over Angelina every day of the week. Jennifer is extremely good-looking and gets better with age. Plus, she is very very funny. In a related story, flame-throwing pitchers with nasty stuff are great, and a team needs guys like that. However, you should also spend more time developing guys who can pitch well enough but can also pitch several innings. I want relievers who can go 2 or 3 frames, and I want starters who can go 8 or 9. Before I address the title of this article, please allow me a bit of preamble. You might have seen the OBJ trade coming, but I did not. Yes, there were trade rumors about Beckham at various times over the past two years, but, during this offseason, there was no considerable buzz about such a trade being a legitimate possibility. Therefore, my brain is still processing the trade. Do I like this trade or not? I honestly do not know. When I first heard about the Beckham trade, I was upset. Odell Beckham Jr. is the most exciting player I have watched during my days as a Giants fan. (I watched the tail end of LT’s career, so I did not truly get to experience his excitement.) OBJ is one of the best wide receivers in the NFL and one of the few players who can regularly turn his team’s down offensive day into a great offensive day with one or two plays. Additionally, few players in the league make his teammates better than Beckham does. The likes of Evan Engram and Sterling Shepard have been much more effective when defenses have to worry about covering the dynamic Beckham than when they do not. For proof, watch footage from Weeks 1 and 2 of the 2017 seasons. In Week 1, the Giants’ offense looked abysmal in Dallas, as Beckham sat on the sideline. In Week 2, Beckham played a few plays, and the offense was much more electric on those plays than on the plays when Beckham did not play. Simply put, one cannot easily replace Beckham’s on-field production. However, we know that Beckham has caused chemistry issues with the Giants. While T.O. and Antonio Brown waited several years in their NFL careers before causing off-field problems, Beckham started in Year 2. We experienced his freak-out against Josh Norman in Year 2; the boat trip, kicking net, and comment that he does not care about his personal fouls in Year 3; his trip to France in Year 4; and his “Li’l Wayne” interview in Year 5. I have lived on this planet long enough to know that trends are much more likely to continue than to stop. Plus, if we know about all of the problems I have mentioned, what else is happening behind the scenes? Nevertheless, we know that these issues are going to continue and will likely grow. The Giants clearly felt that we had reached the point where the benefit of keeping him (all the good stuff I listed before) had fallen below the cost (all the chemistry stuff). Therefore, I commend the Giants for picking up a first-round pick this year, a third-rounder next year, and a solid safety in Jabrill Peppers. The only question that remains for the Giants is “Where do they go from here?” Did the Beckham trade happen because Eli told Dave Gettleman that the QB cannot win with Beckham’s huge ego and personality hovering over the team? Possibly. Did Gettleman pull the trigger because he had decided that it is time for a rebuild and that the Giants should either trade for Josh Rosen or draft Dwayne Haskins? Hopefully. Time will tell. That said, you can read a million analyses about this trade on other sites. I want to pivot now to the tangential topic referenced in this article’s title. The New York Giants have traded a top-flight wide receiver in the prime of his career. This is not a common occurrence in New York. Teams in this metropolitan are usually big spenders and rarely trade megastars in their primes. As a result, I have spent the past few hours thinking about how many players better than Beckham or of bigger star power than his have been traded away from New York teams in the primes of their careers, and my unofficial research places Beckham firmly in the #2 position on this list. For now, I will keep you in suspense as to whom I have selected for #1 on the list. When coming up with this list, remember that I am focusing solely on players who were traded from New York teams. Thus, though Darryl Strawberry was an elite outfielder in 1990 (37 homers, 108 RBI: huge numbers back then), the fact that the Dodgers then signed him to a free-agent contract makes him ineligible for this list. Similarly, John Tavares racked up 621 points in 9 years with the Islanders and also had a big hand in the team’s first playoff-series win (over Florida in 2016) since 1993….but the Maple Leafs signed Tavares as a free agent. Thus, he too is ineligible for the list. In 2011, the Mets traded Carlos Beltran to the Giants (for Zack Wheeler), but Beltran was past his prime. Plus, even in his prime, was he ever a candidate for “Best Outfielder in the Game”, as Beckham has been considered the best wide receiver in the NFL? I would say not. The Knicks once traded Patrick Ewing, and the Nets once traded Jason Kidd. Both are those are all-time great players for their respective franchises, and both led their teams to two NBA Finals appearances. However, both of them were also in the twilights of their careers when they were traded. Neither player was involved with any “Best current player at his position” discussions when they were traded. You could also make the analogous comments about Rangers defenseman Brian Leetch. Many people like to cite the Mets’ trade of Nolan Ryan as “the worst trade ever”, and that is a fair argument in hindsight. The Mets did give up a guy who would go on to strike out 5000 batters, pitch 7 no-hitters, and pitch at a high level for more than 20 years. However, when the Mets traded Ryan (and two other players) for Fregosi, Ryan was a decent-at-best pitcher whose control kept him from being anything great. Thus, at the time of the 1971 trade, people did not think something monumental had happened. The way I see it, there are only two players in Beckham’s territory. One of those players is Darrelle Revis. When the Jets traded Revis to Tampa Bay in 2013 for a 2013 first-round pick, he was considered the premier cornerback in football. “Revis Island” was still a “thing” at that time. However, there are two reasons why I put Beckham above Revis on my list. First, Revis missed almost all of the 2012 season due to a torn knee ligament. When an excellent NFL player suffers a major injury in his fifth season, it is natural for us to wonder if that player’s days as a star have come to an end. (In hindsight, this was the case with Revis. Revis was a solid player the next two years with Tampa and New England, but he was not the elite player he had been.) Secondly, even if we ignore the injury factor, tie goes to the wide receiver over the shutdown cornerback. The receiver who makes big play after big play has much more star power than the corner who prevents the ball from ever coming his way. Therefore, I consider Beckham to be a slightly better player and bigger star than Revis was at the times of their respective trades. As a result, we are left with only one player dealt from a New York team when a bigger star and better player than Beckham is. That player is “The Franchise” or “Tom Terrific”. That player is Tom Seaver. Unfortunately, we have recently learned the news that the greatest Met of all time now suffers from dementia. However, many who watched Seaver pitch say that he is the best pitcher they have ever seen. The guy dominated for the Mets from 1967 through 1977, as he was regularly among the league leaders in wins, strikeouts, ERA, complete games, and shutouts. He had been the face of the 1969 “Miracle Mets”, and he remained their biggest star through 1977, when the Mets had fallen on tough times. Sure, Beckham is a mega-star now, but many people in this world are mega-stars. In 1977, when most people had no more than 7 TV channels, no computers, and minimal telephone capabilities; there were fewer mega-stars. In this area, Tom Seaver was a mega-star. You might be thinking, “Well, he had already pitched 10 years when the Mets traded him to the Reds in 1977. Wasn’t he on the decline?” Not at all. Seaver was pitching at a high level, and stayed at that level until roughly the time when the Mets brought him back from Cincy in 1983. From what I have heard from my parents and other huge Mets fans of that day, nothing compares to the Seaver trade. Most Giants fans agree that OBJ is one of the best receivers in the league, but plenty of Giants fans can see why the Giants made the trade. Agree with the trade or not; the transaction is defensible. That was not the case with Seaver. Seaver was the only guy for Mets fans to hang their hats on, and the Mets traded him. Fans were devastated and saw no silver lining in the move. Granted, a part of me does wonder how the trade would have been received today. After all, the 1977 Mets were a bad team who traded a top-flight player for four prospects. No, none of those prospects materialized into anything great, but it is a regular occurrence today for bad teams to trade stars for prospects. In 1977, there were fewer entertainment options, so I think that fans were more passionate about having their teams put together the best teams possible – the future be damned. I have to admit that, while I am a big-time Devils fan, I have not watched them too much over the last month as I know that this year’s disappointing team is better off tanking. Fans of all sports now realize that bad teams are usually better off tanking, but it is easier for us to “trust the process” in 2019 when we can binge-watch “Schitt’s Creek” and Harlan Coben’s “Safe” to pass the time during a bad Devils season. Yes, I highly recommend both of those shows. Ideally, the Devils will land the top pick in the draft, bring in Jack Hughes, and play at a level next year that makes me want to watch all 82 games again. However, in 1977, what were you going to do to pass the time during a bad Mets summer? There is only so much “American Bandstand” one can handle. Therefore, Mets fans were going to be much more loyal to a bad 1977 team than they were to bad 2017 and 2018 teams. Thus, Tom Seaver remained a huge star, albeit on a bad team. In fact, I would argue that Seaver was a bigger star relative to the 1977 sports world than Beckham is to the modern sports world. If we could calculate WAR for star power, Seaver’s 1977 star-power WAR would be well above Beckham’s. Plus, Beckham is one of the best current wide receivers, but Tom Seaver is one of the best pitchers of all time. Big difference there. Therefore, I consider the OBJ trade to be the second-most monumental trade of a New York athlete. The trade of Tom Terrific ranks #1 on the list. Let us hope that the Giants make more out of their two acquired draft picks and Jabrill Peppers than the Mets made out of the four prospects they obtained. I could not care less about February baseball injuries. (Side note: I cannot stand when people say “I could care less” when they mean “I could not care less”.) Allow me to repeat myself. I could not care less about February baseball injuries. I make this point because it is apparently a huge story that Mets’ infielder Jed Lowrie is heading for an MRI for soreness in the back of his knee. Notice that today’s date is February 24. The Mets’ first regular-season game takes place on March 28. Thus, we are five weeks from the start of the regular season. Do I care that Jed Lowrie might miss a few weeks of Spring Training? Of course not. As I have discussed in the past, I could not care less about preseason games in any sport. My main goal for any preseason is to have all of my team’s players be healthy when the regular season starts. 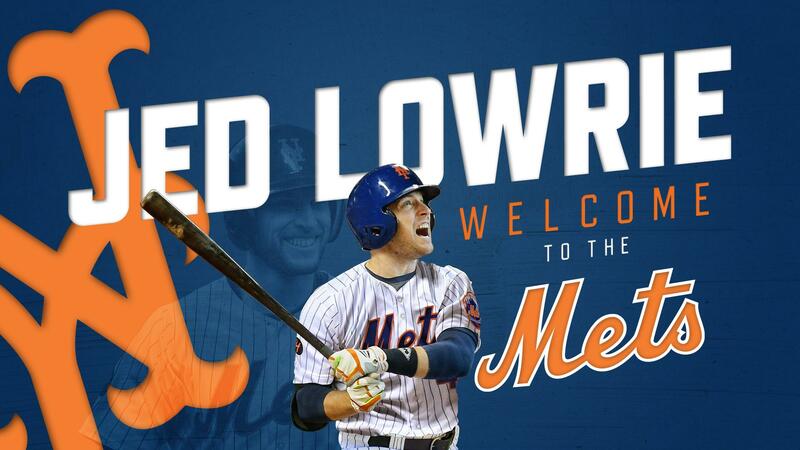 Therefore, if we ultimately find out that Jed Lowrie needs surgery and is going to miss several months of the season, then we can then make a big deal out of his injury. However, assuming that a severe injury is not the case, I view any time that Lowrie misses in the spring as time during which he will not suffer a season-ending injury. Additionally, the guy has been in the league for more than 10 years. He does not need five weeks of Spring Training games. He will probably actually benefit by having a shorter Spring Training, in that he will likely feel better rested during the season. Therefore, to summarize, I am in no way worried that Lowrie’s knee issue will have a negative effect on the Mets’ season. Some people are incredibly eager for baseball season and thus are willing to make anything baseball-related a big story. I am not one of these people. I would say that older people (so I guess this is the second time I am being ageist in a post) hold “pitchers and catchers” and “the start of Spring Training” in higher regard than younger people do. This regard likely stems from the days when the World Series ended in mid-October instead of early November and when there was not 24-hour baseball coverage all offseason long. Therefore, in a bygone era; to have any baseball coverage in mid-February, after four months of zero baseball, was a big deal. Nowadays, baseball fans can find baseball coverage all the time from early November through the start of the next season. 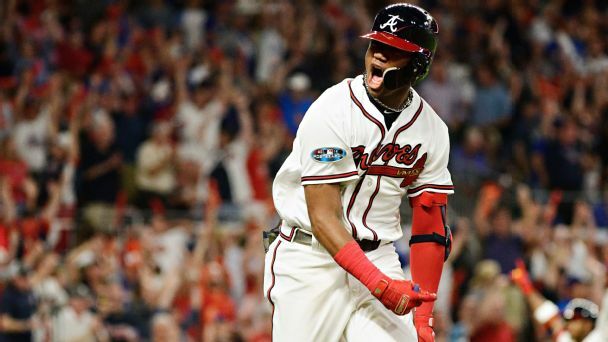 Therefore, it is no longer as big a deal (at least to me) that teams are primed to start playing five weeks of meaningless games featuring primarily people who will spend the regular season in the minors. No, for me (and for many others who are 37 years old or younger), the end of February means that March Madness is right around the corner. I am also pumped that the stretch run to the Stanley Cup Playoffs takes place in March. Yes, I will be excited for MLB Opening Day when it arrives, but you can spare me the Spring Training games and obsessive discussion about minor preseason injuries. There are many “Woe is me” Mets fans who LOVE to wallow in their own sorrow. As a Mets fan myself, I cannot stand these people. These are the fans who are saying, “Same old Mets. It is only February, and guys are getting hurt.” To quote the venerable Don LaGreca, these fans are “in love with their own sadness”. These fans would rather be miserable than have good things happen to the Mets. These are the fans who will cite the 1992 Bobby Bonilla signing and 1996 Carlos Baerga trade as reasons why the 2018 Cano trade (which I happen to love) is a bad move. These are the fans who blame the Mets’ disappointing 2018 season on injuries, even though the Mets did not suffer considerably more games lost to injury (to quality players) than the average team did. These are the fans who view the 2015 season as a negative because the team lost the World Series. These are the fans who rue the Mets’ “bad luck” of the past five years while casually ignoring the fact that the Mets rode impeccable health (especially among their pitching staff) to the 2015 World Series in the team’s only “real” (aka “beyond the Wild-Card Game) playoff appearance over that stretch. OK, I will stop there, because I would someday like to write a full article on “Woe is me” Mets fans. I do not want to steal too much of future Mike’s thunder. Oh, one more thing I should mention. While I am a big fan of the Jed Lowrie signing; if he were to miss the entire 2019 season, how much would his absence hurt the team? If the answer is “a lot”, then the team is not very good as it is. Fortunately, I would argue that the Mets can withstand a Lowrie injury. With Cano, Rosario, Frazier, Alonso, d’Arnaud, Nimmo, Conforto, Lagares, McNeil, and TJ Rivera; the Mets have depth for their non-pitcher/catcher positions. 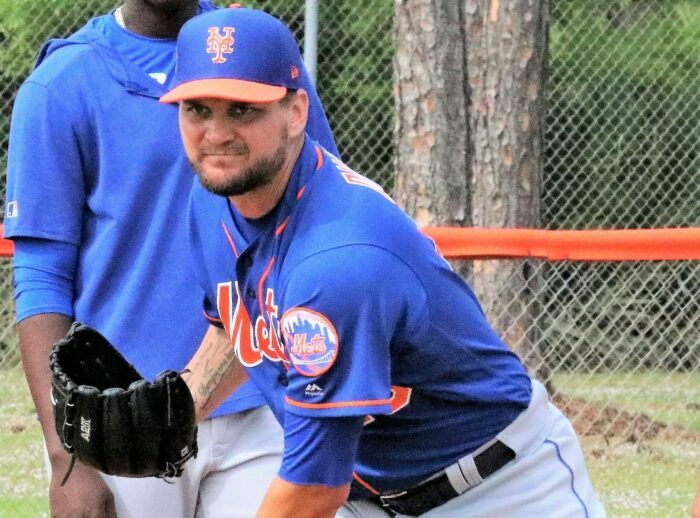 Lowrie is a nice player, but the Mets can afford to be without him for a while….but why am I wasting any time talking about this February injury? I could not care less about February baseball injuries. It is February 21; let us focus on Zion, “Bracketology”, and what the Devils are going to do at the Trade Deadline.